Part 1: What Can We Do Now? 1. By tomorrow: Independent Counsel. 20 state Attorneys General have written to DOJ asking for an independent prosecutor. Either thank yours, or ask why he or she hasn’t signed on. Contact info here. 2. By Friday: Send a postcard. There’s a special election in South Carolina, and grassroots groups are working on sending handwritten postcards to help GOTV. Email Postcards@TonytheDemocrat.org to figure out how to help. 3. By Sunday: Oh fine just watch SNL. Here’s the cold open. 1. Egregious anti-democracy action you probably haven’t heard of: Retrospective on Wisconsin’s Voter ID law. 2. Easy to forward clip to family and friends: Here’s Representative MacArthur’s most recent town hall. 3. Coward of the week award: Sean Spicer, because you can’t top hiding in among the bushes. 4. Hero of the week award: Andy McCabe, who got 24 hours to prep for his first Senate hearing, and refused to toe the line the White House clearly wanted. 5. Here’s your pro-democracy, pro-America pump-up song of the week: White House’s view of the Comey fiasco? 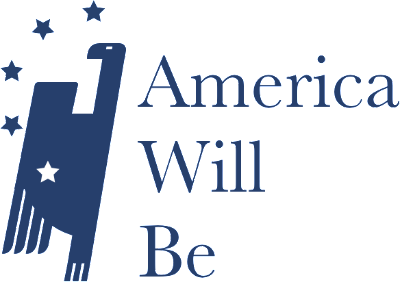 Help us grow America Will Be. Forward our Actions & Links to friends and family (even your crazy Uncle who’s regretting his belief that “Trump and Hillary would be just the same.”) There’s strength in numbers, and tomorrow there’ll be more of us. All – Every week, we see more and more people finding ways to stand up against racism, hatred, and tyranny – and sadly, more people willing to just give in. But I believe the good will outnumber the bad. Donald Trump and his cronies aren’t going to be what brings down America. Not now. Not ever. Here’s this week’s Actions & Links. 1. By tomorrow: Support Chuck Jones. Chuck is the President of United Steelworkers Local 1999 in Indianapolis, which means he covers the Carrier plant of recent fame. Notably, he had the gall to suggest the Donald Trump was (gasp!) lying when he inflated the number of jobs being saved. The Presumptive President-elect then directly belittled this man on twitter. In doing so, he also effectively blamed the workers for the loss of jobs – exactly the thing he promised to end. Since then, Chuck’s office phone line has been deluged with inflammatory calls and even death threats. When I called to offer my support, they were extremely grateful and said they are keeping a tally – and they hope the positive calls outweigh the negative. Here’s a guy standing up to Trump and fighting for workers – call his office at 317-639-1479. 2. By Friday: Stop the Muslim Registry (really). The Muslim Registry infrastructure was put in place in the Bush administration and never dismantled during Obama’s presidency. MoveOn is circulating a petition calling on the President to immediately dismantle the architecture, to make it that much harder for a President Drumpf to actually violate the constitutional rights of millions of Americans. Sign here. 3. By Sunday: Figure out how to change the law. Research how your particular city / state (whichever you prefer) conducts ballot initiatives. Friend of the newsletter (and recent Democratic candidate for Alaska’s at-large seat) Forrest Dunbar recently co-created and helped pass an initiative to provide automatic and universal voter registration in his home state of Alaska. On the same night, Maine adopted a system of Ranked Choice Voting. Minimum wage, marijuana legalization, and many more initiatives have been winning in a variety of cities and states. These particular policies might not be right for your area, but the concept of getting around gerrymandered legislatures or Trump-supporting governors by appealing directly to the body politic is worth investigating. Forrest has a full quote on his experience below. For those that are interested, there is a progressive Ballot Initiative Strategy Center, which can tell you how to get started. And, hey, knowing is half the battle. 2. Easy to forward clip to family and friends: Here’s a Republican elector from Texas explaining why he won’t vote for Trump on December 19, when electors across the country will convene to elect the next President of the United States. 3. Coward of the week award: Mitch McConnell. You’d think a sitting U.S. Senator would support a bipartisan effort to stop a hostile Russia from meddling in the fair elections that underpin our democracy. But then of course, you’d be wrong. Wonder if it had something to do with his wife getting a cabinet post? 4. Hero of the week award: Kevin de Leon, California’s state Senate leader, for getting California ready to oppose Trump. Recently introduced SB-54 would affirmatively prevent any California municipality or school from spending any of its own resources to enforce federal immigration laws. And the best part is – we already know that the feds can’t force states to spend money to enforce federal laws. 5. Here’s your pro-democracy, pro-America pump-up song of the week: I Won’t Back Down. Copyright © 2017 America Will Be, All rights reserved.